Before the start of the match, Sergi Palencia celebrated reaching 100 games with Barça B, and his parents presented him with a commemorative shirt on the pitch. A strong Cádiz side were well beaten thanks to a sensational performance by Garcia Pimienta’s men (3-1). Marc Cardona (2) and Nahuel were the authors of the win in front of more than 4,000 fans in the Miniestadi. The game started with very high pressure from the visitors who dominated possession. 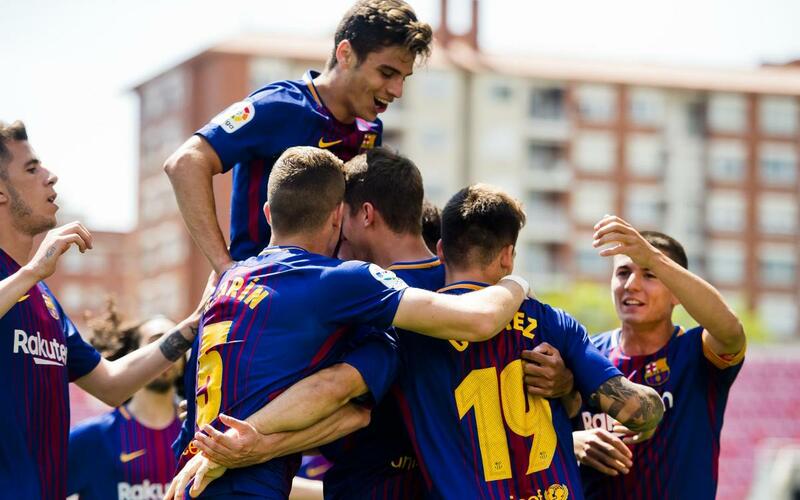 However, as the match continued, Barça settled down and were first to score when Marc Cardona found the net on 16 with a perfect header. He was involved again nine minutes later, winning and converting a penalty. Right on half time, Nahuel took the ball around the keeper and slotted it into an empty net (3-0). In the second half, the Blaugrana continued to dictate the pattern of proceedings and could’ve added more goals through Nahuel and Palencia. In the final moments of the game, Álvaro Perea grabbed a consolation for the visitors.